Unless you’re eating at an Americanized restaurant or a restaurant that explicitly states that they don’t use MSG (even then, it’s doesn’t always cover every glutamate), then you can safely assume that your typical dim sum parlor is using MSG in their food. 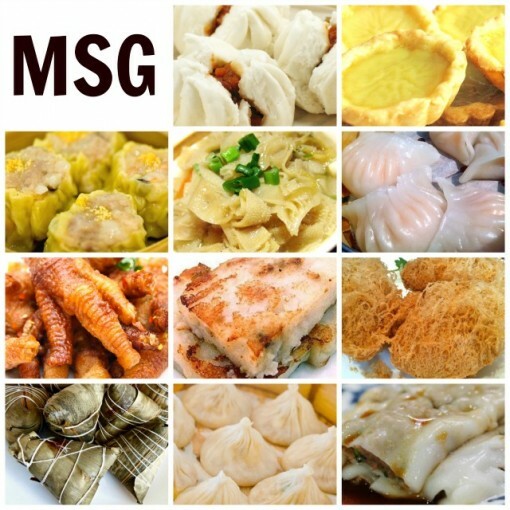 It’s not that MSG is added at certain restaurants, but MSG is an ingredient in traditional dim sums. From char su bao to har kow to shu mai to chicken feet — whether it’s seasoned or in the sauce, dim sum recipes include MSG as a crucial piece during preparation. And since dim sum is usually prepared well-before the afternoon rush, restaurants won’t be able able to cook up some dim sum without MSG on request, as they can easily can with dishes during lunch or dinner that are cooked to order. The good news is though dim sum has MSG, it’s small when compared to a entree you would get at the same restaurant. So if you’re only mildly-sensitive to MSG, you can still have dim sum if you’re careful. That’s because the good portion of a dim sum menu comes in some dumpling form. It’s not that dumplings don’t have MSG, but the pork, shrimp, chicken, beef and/or vegetables that make up the dumpling filling has MSG already mixed in – dumplings aren’t swimming in sauce. Sauces are the gotcha if you get severe reactions to MSG. The sauces are typically where the majority of MSG is the strongest. This is true not just for dim sum, but for most Chinese food whether a lunch combination or dinner entree. The rule of thumb is: the more sauce equals higher concentration of MSG. If you want dim sum and not get a headache or inflamed, be mindful with dry dumplings and stay far away dishes that are already sauced. Here’s a list of common dim sum dishes with their levels of MSG. Obviously, all dim sum restaurants have their own recipes and it all depends on how heavy the cooks’ hands are, so take this list with a grain of MSG. 5) If there’s black beans in it, there’s MSG! MSG has developed such a negative reputation over the last decade (and I am particularly interested because of my love for dim sum and my sensitivity to MSG) that it’s impacted the reputation of Chinese restaurants on the whole. I want to be clear that I’m not knocking Chinese restaurants with this post, my aim is to be informative to other dim sum lovers that have reactions to MSG. MSG is just the way it is with Chinese restaurants and that’s not a bad thing. MSG is a large part of the reason you can go to any city and Chinese food is always affordable — it’s an inexpensive ingredient that adds so much flavor. 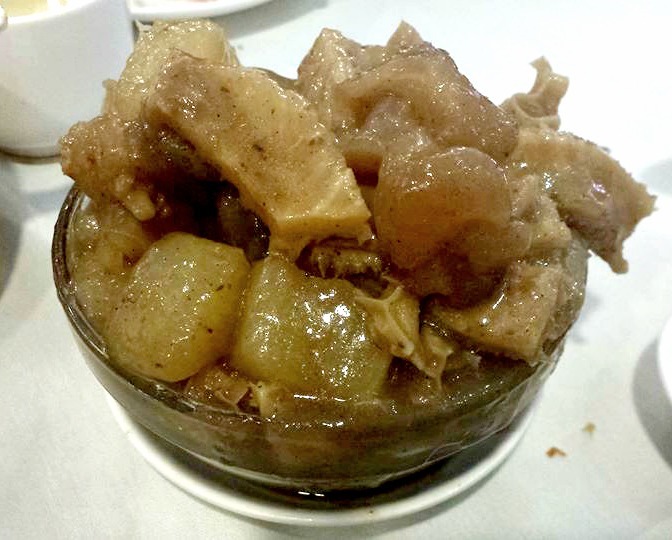 With dim sum, Chinese patrons are generally more price-sensitive and most all aren’t MSG-sensitive, so traditional dim sum restaurants cannot afford to remove MSG because that jacks up the price for their primary clientele. It’s not good business sense to charge more to remove an ingredient that pleases only a very small piece of their business. Chinese restaurants will leave the MSG-free dim sum to the high-end, fusion restaurants with a different target audience (that is willing and able to pay more). All the while, 99% of dim sum parlors will continue churning out tasty dim sum dishes on pushcarts for $2.50 to their packed house of Chinese customers… all of it with MSG.